To restrict some of the payment methods to provide the seamless and easy checkout process to customers. With the help of Payment Method Restriction Plugin, the admin can restrict payment methods which the admin does not want to use for particular cart rules, products, and categories. Payment methods can be restricted based on cart rules, products, and categories. The admin can select restriction type – manual/ cart rules. Only allowed payment methods will display to customers. 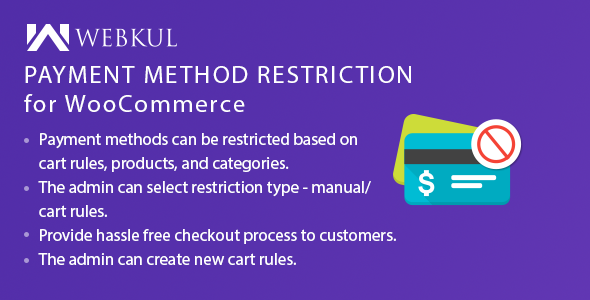 Select allowed payment methods for a particular cart rule.